This is a very lovely wedding dress, fully graceful. If your wedding is in a garden or somewhere outdoor then this dress is perfect. 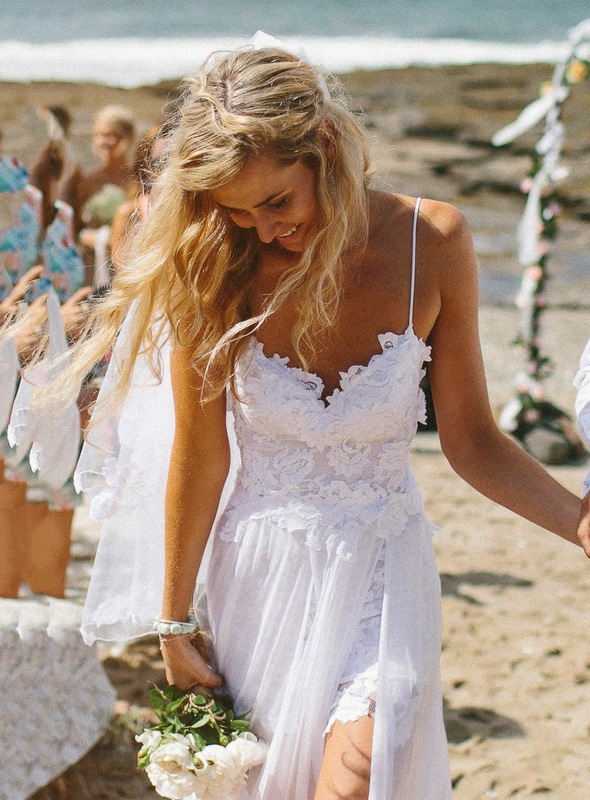 If your wedding is beach themed then this lovelybackless lace dress is to die for, giving you a very flowy and summery look. 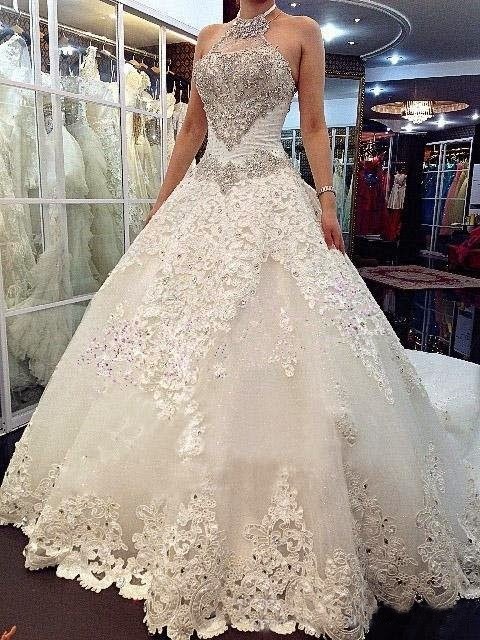 Its a very beautiful appliqued/sequined worked wedding gown. If you wanna look like a princess then you must go for this dress. Do check out their website for more.